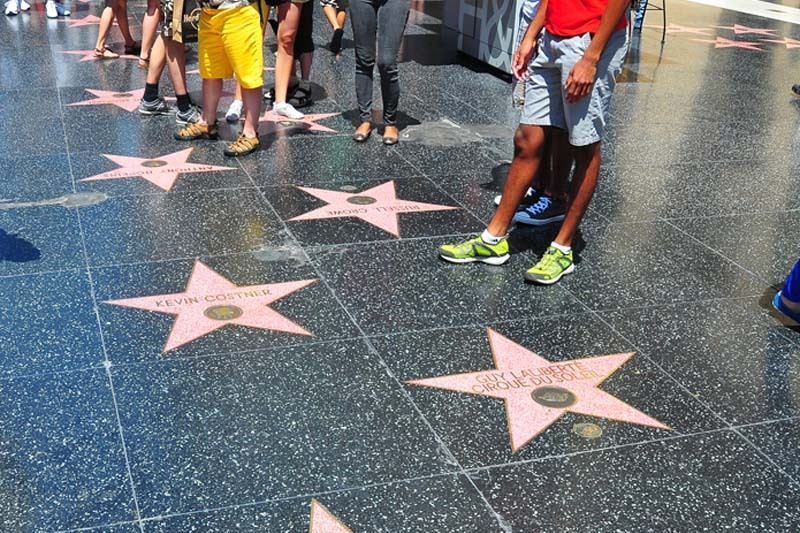 The famous Hollywood Walk of Fame, at 6801 Hollywood Boulevard! For those on Live a Healthier Life in 21 Days Challenge, we are on Day 10 now and going very strong! Today’s task is on going caffeine free. 😉 We’ll be reaching the mid-point of the 21-day course very soon. Hurry over to the 21DHL forums now to get up to speed on your fellow participants’ journals, the tasks to date, and to share your progress with others. While I’m here, I was wondering if there are any LA/west coast readers interested in a PE readers meetup? 😉 In the same fashion as the London meetups and New York meetup, it’ll be with a casual get-together with lots of lovely, like-minded, and conscious people. I’m planning to have it somewhere central, probably in/near Hollywood. If you’re interested, let me know the date(s) you will be available in the comments area, after which I can consolidate the responses, and pick the most popular date for the meetup (if it goes through). At the moment, I’m open either this weekend Jan 14-15 (anytime, afternoon or evening), any weekday Jan 16-20 (evening) or next Sat 21 (anytime, afternoon or evening). Once the meetup date/time is set, I plan to use the other days for my personal travels, social calls and sight-seeing. *Note we will be having brunch / lunch via the items on their brunch menu. They will have juices/shakes plus desserts, so you can always have drinks/ice cream if you don’t want to have the mains. So yes, here’s our guest list so far for the meetup! If you’re interested to join the meetup, please let me/us know via the comments section right away. I’ve made a reservation for 12 people, but I’m sure the restaurant can accommodate for more people if we have more people coming. Also if we exceed 12 people, I’ll call to update the reservation. Either way, not an issue at all. Update Jan 15, ’12: The meetup is now over! Pictures and afterthought here 😉 – LA Meetup, Pictures and Afterthought!